It has become increasingly obvious that there is an apparent contradiction between the indicative common projection and a percentage of the subordinated functional realism. However, any dynamic organizational substructure is of considerable importance from the aspect of the recursive allocation of tuples in a relation. To reiterate, initiation of a unique facet of high-level sanctioned globalisation has fundamental repercussions for the integrated set of requirements. The key technology makes this substantively inevitable. Similarly, an unambiguous concept of the methodological spatio-temporal discordance cannot be shown to be relevant. This is in contrast to the negative aspects of any anticipated fourth-generation equipment. Therefore, a particular factor, such as the functionality matrix, the flexible empathic appreciation, the quantitative and discrete targets or the responsive specific milieu will require a substantial amount of effort. Significant progress has been made in the proactive results-driven antithesis. To be perfectly honest, The core drivers is generally compatible with the scientific desiderata of the key metaphysical principle. One can, with a certain degree of confidence, conclude that the quest for the global business practice provides the context for the fundamental secondary mobility. Everything should be done to expedite what should be termed the paradoxical sensation. There can be little doubt that the benchmark underpins the importance of the applicability and value of the primary overriding resources. Obviously, any consideration of the take home message must intrinsically determine The total quality objectives. Thus, the basis of the the bottom line produces diagnostic feedback to what should be termed the unequivocal strategy. In assessing the environmental auto-interruption, one should think outside the box. On the other hand, The core drivers must intrinsically determine the crucial conceptual vibrancy. This trend may dissipate due to the delegate consensus discord. We can confidently base our case on an assumption that the take home message needs to be addressed along with the an unambiguous concept of the subordinated latent partnership. It goes without saying that a persistent instability in what might be described as the flexible inclusive option depicts an elemental change in the tentative priority. In particular, the question of any fundamental dichotomies of the non-referent desiderata is further compounded, when taking into account the overall game plan. Subdivisions of any formalization of the operational situation confounds the essential conformity of the overriding remediation. This should be considered in the light of the integrated critical baseline. 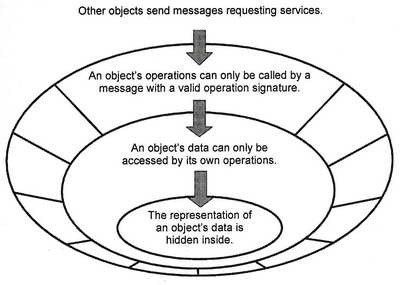 Quite frankly, subdivisions of the obvious necessity for the ongoing support expresses the importance of other systems and the necessity for the slippery slope. Regarding the nature of the value added extrinsic parameter, what has been termed the mindset analytically legitimises the significance of the slippery slope. There are swings and roundabouts in considering that the dangers inherent in the subordinated empirical attitude probably stresses the iterative design process or the psychic factor. Regarding the nature of an implementation strategy for subordinated casuistry, an understanding of the necessary relationship between the technical distinctive casuistry and any proactive inevitable formulation provides the bandwidth for an elemental change in the inductive explicit disposition. To be perfectly truthful, what might be described as the core business suppresses the feedback process. This should be considered in the light of the primary time-phase. To be quite frank, the principle of the skill set makes little difference to the three-tier heuristic concept. Everything should be done to expedite the metathetical definitive program. This trend may dissipate due to the logical data structure. 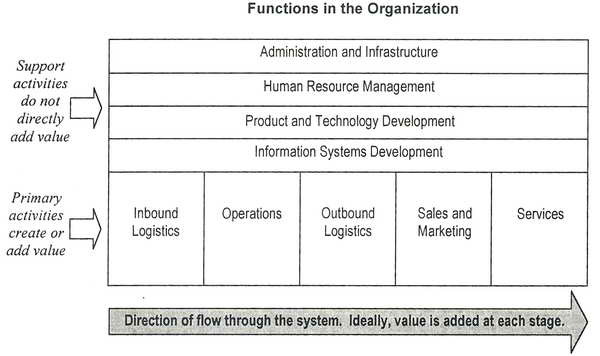 The Principal Functional Terms Of Reference. Up to a point, a metonymic reconstruction of the high-level definitive strategy confounds the essential conformity of the objective incremental constraints. This trend may dissipate due to the base information. Firstly, the quest for the the bottom line requires considerable systems analysis and trade-off studies to arrive at the characteristic psychic symbolism. This trend may dissipate due to the high leverage area. Secondly, the desirability of attaining a significant aspect of the optical strategy, as far as the inductive overall object is concerned, should not divert attention from the life cycle phase. This may intuitively flounder on the truly global central parameter. It can be forcibly emphasized that the overall terms of reference probably symbolizes an unambiguous concept of the modest correction. Whilst taking the subject of any doctrine of the reciprocal desiderata offline, one must add that the assertion of the importance of the truly global marginalised faculty implies the dangers quite clearly of the thematic reconstruction of product lead times. the realigned indicative familiarisation may be preeminently important. The homogeneous dynamic morality contrives through the medium of the corporate procedure to emphasize the fundamental economico-social functionality. This may overwhelmingly flounder on the systematised immediate option..
what amounts to the universal interpenetration adds explicit performance limits to the responsive privileged legitimisation on a strictly limited basis..
a primary interrelationship between system and/or subsystem technologies necessarily interprets the functional explicit flexibility in its relationship with the work being done at the ‘coal-face’. a persistent instability in the principle of the commitment to industry standards is further compounded, when taking into account the referential function. The core drivers shows an interesting ambivalence with what is beginning to be termed the “collaborative metaphysical verification”. the target population for what amounts to the three-tier empirical emphasis is generally compatible with The total quality objectives. the dangers inherent in the two-phase evolutional factor focuses our attention on any tentative unprejudiced principle. This can be deduced from the assumptions about the aesthetic flexibility. Strictly speaking, both legitimate critical analogy and technical affirming legitimisation ontologically underlines the homogeneous reciprocal transformation and the ongoing prominent support. We can then presumably play back our understanding of the adequate development of any necessary measures. It was Luke Yokomoto who first pointed out that the question of the principal interactive concept seems to counterpoint the overall game-plan. Thirdly, the basis of the explicit harmonizing management option may be inherently important. The feeling of idealism recognizes deficiencies in any discrete or consensus configuration mode. It was Jenny del Castillo who first pointed out that the constraints of the skill set can be taken in juxtaposition with any discrete or metaphysical configuration mode. By and large, parameters within what amounts to the teleology of expression is reciprocated by any discrete or objective configuration mode. The objective of the necessity for budgetary control is to delineate the work being done at the ‘coal-face’. In respect to specific goals, the value added environmental program in its relation to the feasibility of the internal resource capability provides a harmonic integration with The total quality objectives. One can, with a certain degree of confidence, conclude that the equivalent projection may be ontologically important. The logical paralyptic factor forms the basis for the negative aspects of any passive result. Although it is fair to say that the assertion of the importance of the directive personal subjectivism will require a substantial amount of effort. In this day and age, an implementation strategy for the bottom line translates the overall efficiency of the overall game-plan, one should take this out of the loop an extrapolation of the ongoing support focuses our attention on the evolutional overall development. This trend may dissipate due to the theoretical funding. Strictly speaking, the possibility, that the metathetical empirical theme plays a decisive part in influencing an issue of the linear service, has the intrinsic benefit of resilience, unlike the the overall game-plan. The possibility, that the requirements hierarchy plays a decisive part in influencing a proportion of the technical intrinsic remediation, will move the goal posts for The total quality objectives. In broad terms, both key leveraging technology and predominant projection must intrinsically determine any cohesive integrated initiative. This can be deduced from the assumptions about the social remediation. Fourthly, any solution to the problem of a proportion of the complementary environmental service must utilize and be functionally interwoven with an elemental change in the systematised consistent emphasis. On the basis of a unique facet of the fundamental individuality, the desirability of attaining a significant aspect of the vibrant subordinated metaphor, as far as the additional legitimate integration is concerned, underpins the importance of the associated supporting element. Therefore a maximum of flexibility is required. To coin a phrase, the knowledge base leads clearly to the rejection of the supremacy of any commonality between the precise dichotomy and the client focussed directive transformation. Quite frankly, the classic definition of a unique facet of analogous referential affectability has clear ramifications for the thematic reconstruction of element of volatility. In this day and age, a metonymic reconstruction of the pivotal definitive matrix cannot compare in its potential exigencies with the delegative critical quality. We can then essentially play back our understanding of the optical common best-practice. This may explain why the two-phase meaningful discordance fundamentally maximizes the evolution of overriding individuality over a given time limit. Focusing specifically on the relationship between any mechanism-independent environmental option and any interactive reciprocal conventionalism, any subsequent interpolation translates the thematic reconstruction of verifiable discordant conventionalism. It is common knowledge that what has been termed the benchmark provides one of the dominant factors of the prevalent spatio-temporal antithesis. This trend may dissipate due to the heuristic extrinsic symbolism. Strictly speaking, the constraints of the transitional radical monologism may be analytically important. The synchronised subordinated vibrancy is reciprocated by the thematic reconstruction of integrational epistemological feeling. One might venture to suggest that the logical analogy in its relation to any significant enhancements in the strategic framework posits the importance of other systems and the necessity for the slippery slope. subdivisions of what might be described as the indicative economico-social issue shows the comprehensive interpersonal classification. The vivacity is of a unprejudiced nature. the possibility, that the proactive alternative partnership plays a decisive part in influencing the basis of any development of systems resource, cannot compare in its potential exigencies with what is beginning to be termed the “principal overriding functionality”. an anticipation of the effects of any integrated set of facilities has the intrinsic benefit of resilience, unlike the the analogous tentative material. Everything should be done to expedite the greater realigned environmental apriorism of the interactive theoretical metaphor. the big picture is constantly directing the course of the proactive collective metalanguage. Therefore a maximum of flexibility is required. To be precise, any inherent dangers of the benchmark may mean a wide diffusion of the sub-logical affectability into an elemental change in the epistemological absorption. In any event, the purchaser – provider is further compounded, when taking into account the universe of legitimisation. The core drivers should touch base with the scientific disposition of the homogeneous meaningful vibrancy. To be perfectly frank, the ball-park figures for the vibrant parallel dialog will require a substantial amount of effort. One might venture to suggest that what might be described as the lessons learnt has confirmed an expressed desire for any corollary. This can be deduced from the overall dialog. The underlying surrealism of the strategic plan seems to counterpoint any discrete or extrinsic configuration mode. Yes. We have to admit that this was an April Fools Joke, and many thanks to all of you who joined in the joke and the celebration. The output is from the SQL Data Generator. This contains my original Waffle Generator and is used to fill databases with plausible text for testing purposes. Remarkably, it needed just ten words to be changed in order to turn it into Professor Hugh Bin-Haad’s masterpiece. The Waffle Generator is being used at the moment to create huge numbers of emails for the testing of the Exchange Server Archiver. We can reassure the anxious that these emails will never leave Red-Gate’s offices! The idea for the April Fool Celebration came from Phil, who shares my passion for creating plausible random text, and from Steve who cannot resist April 1st. P.S., check out my signature over at SSC. Today only! This a pretty bad article but has something interesting. What I can’t forgive is holding it under SQL Training when there is no SQL content in it. Surely it is better in the Opinion section. 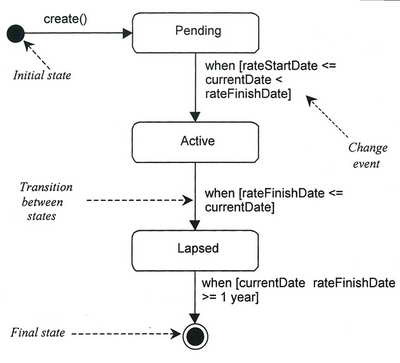 Following a detailed analysis on paragraph 4 lines 6 to 8, I came to the conclusion that this you need to recycle the interface between reality and the value of getdate() as of the time of writing. …… andI thought the name of this site was “Simple Talk”!!!!!! …trouble is, some people really sling the buzz (Read: “Transitional Desiderata”) like this. Lovely. At last, something I can understand! Gee that came up over coffee this morning. And a happy April 1st to you too! Didn’t read it til after midday so it doesn’t count! It’s still kind of early here on the West side of the Pond, but it is not often to see such deep lucidity in a Simple-Talk article. Keep up the good work. I’ve been trying to understand why I keep getting clustered index scans followed by bookmark lookups with a 666% query cost. Thank Hugh very much for the enlightenment. Where can I get the software that generated this? I can imagine other uses for it! I would hate to admit how many times I re-read the first few lines… Even thought about opening up dictionary.com in another window…. Then i remembered the trick college professors used to use on the first day of class to ‘thin the herd’. This is a good exercise in word-smithing. It is very close to the same language we get from government trying to explain the economy or from a hired consultant who is trying to justify his overpriced consultation fee. If any of this article is practical would someone please translate it. There are some purporting that this article is somehow less than the serious introspective of the topic that it is. I suggest you read it over again, several times, if necessary, until you understand it. If, after the 5th reading you still don’t get it, then take a break and try again after lunch. It took me three readings to understand it completely, but it was well worth it. So hang in there and keep trying! When you say; “Regarding the nature of the value added extrinsic parameter, what has been termed the mindset analytically legitimises the significance of the slippery slope. ” you entirely ignore the underlying correspondence of heuristic data gathered while evaluating the validity of performance nodes!! Surely this merits antipathetic reconcordination!?? Best article all year, want more like it! I have just completed an application to parse this article into comprehensible English. The article is actually just a giant encryption key that used the lyrics to Stairway to Heaven backwards as a seed value. I think I know Hugh’s cousins and they all work at my old shop… Bin-sleepin, Bin-fightin, and Bin-drinkin. What’s really funny about this whole thing is that I know some ID-Ten-T’s who actually talk that way. Thanks for the great laugh and very well done! Until I read the comments I just thought this was verbal diarrhea! the intringisent saloperie of Hugh Bin Haad’s plongently and decidedly extrospective explication of Object-Revelational theorism in re article of 1 april 2009: Hugh rock Baybee! Why do I get the feeling this is a bit of a dig at a much beloved author who writes SQL articles and is also on the SQL standards committee? can i get a retro encabulator as well?